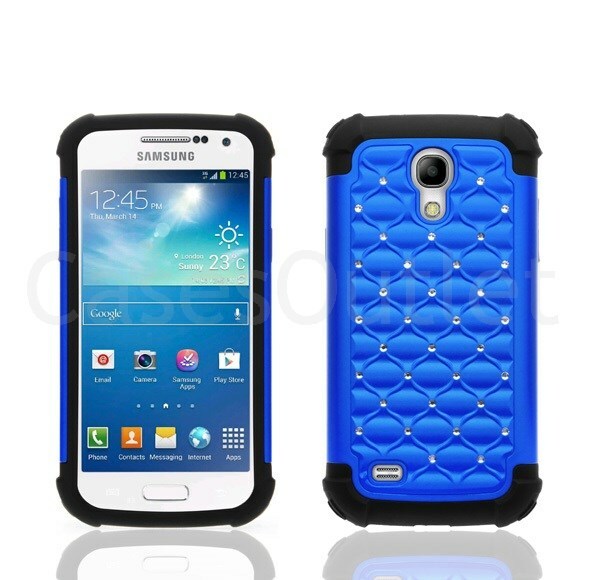 features a dual layer build made out of high quality polycarbonate (PC) and soft silicone that helps guard your Samsung Galaxy S4 against scratches, dirt, minor drops, and bumps. HYBO-SD fuses two different materials to protect your Samsung Galaxy S4 while offering multiple color combinations. With interchangeable layers, why settle with one color combo? Combine the different colors and the bedazzled polycarbonate (PC) backplate to make the perfect combination that matches your style! Uniquely crafted with screen lip design that lifts your Samsung Galaxy S4's screen 1mm from the surface with face down. precision cut-outs to ensure full access to all ports, buttons, and features of your Samsung Galaxy S4.